The Niagara Cube Bookcase from Moe's Home Collection delivers an ideal mix of style and function day after day. This deluxe bookcase is constructed from solid acacia wood that is both dazzling and strong. Plus, the bookcase offers plenty of space to store books, DVDs and much more, and it is available in multiple configurations for extra design flexibility. Increase your storage space without sacrificing your personal style by picking up the Niagara Cube Bookcase. 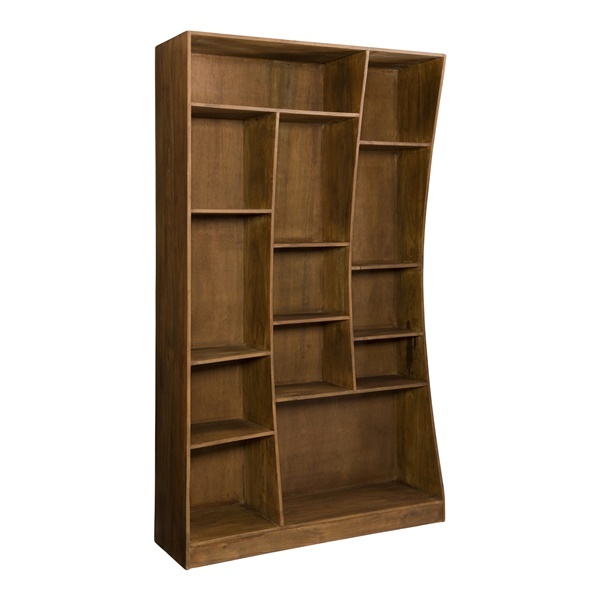 Constructed from solid acacia wood that ensures the bookcase is built to last. Offers plenty of spacious shelves, making it easy to display antiques, books, photographs and much more. Comes in either a left or right facing shelf. Stunning finish and timeless design make the bookcase a wonderful addition in any bedroom or living room.